It takes a special book to cause me to think of purchasing a book at full retail price. This is one of those books. I have not so throughly enjoyed a book as this in a long while. 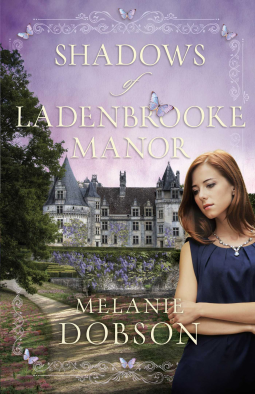 Melanie weaves a tale, which could have been cliche, but is really the story of what families faced with unwed pregnancy and special needs in another time period. There is a sweet thread of romance, but romance is not the focus here. The focus is more on how secrets can live in the shadows and destroy relationships when we allow fear to control us. The shadows will live to haunt us if we let them. The fact is exposing shadows to the light, turns them into nothing. This tale vividly shows us this, placing us in the English countryside. Libby, Heather and Maggie all play a role in the story, while we experience the mystery with them. I would encourage you to order this book if you love historical fiction! It is amazing! What I really enjoyed is how she told the story of an adult with autism in the historical time period. It really is something many people will relate to. This book was given to me for review by the publisher and NetGalley. The opinions contained herein are my own. At first, I was slightly confused at the direction this book would go in. It is a slow starter to be sure, but that does not mean it was bad. Martha Cade is an older character, she is widowed, and romance is not the primary driving story line of this book. There is little to any romance involved, if that is what you are looking for. 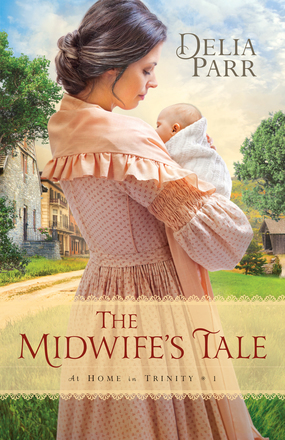 Instead, there is more the tale of a midwife and how they may have served women in that time period. There were several glaring errors in just basic midwifery, even from that time period, but the author did not claim to be up on the facts. One though, that is constantly done in historical fiction which drives me insane is when the mother has been in labor for many, many hours and a midwife comes in and with skilled hands, turns the baby from the breech position to vertex and the baby comes smoothly. Babies can and have been born breech many times, and is not the leading cause of stalled labors. A skilled midwife would use other methods to get the baby born, but likely would be physically impossible to turn the baby at that point in labor. Small errors like this, only distracted me because of my education in the field, but overall, I enjoyed the story. I gave it about 3.5 stars as a rating, mostly because of the errors and the lack of depth of some of the storylines. The positives were that she took an character that was older, and made her fascinating. She did not need a man, but with God beside her, was willing to be a strong female in a time where she was needed. This book was provided for me for review by Bethany House publishers. The opinions contained herein are my own.